Does anyone know of a way to counteract the curse of a bird flying in the house? I don't know about a curse associated with a bird in the house. I was taught it was a message, usually of an impending death, but always important. The death could certainly be the result of a curse, so cleansing and uncrossing work may be suggested. It may be, however, that the death is completely natural and there is nothing that can (or should) be done to stop it. A bird flying into the house is a very bad omen -- usually of a death in the house -- found particularly among Anglo-British people and African Americans with some Anglo-British ancestry or familial and cultural absorption. It is not a "curse," per se -- that is, it is not a form of work performed by an enemy -- but it is considered to be among the worst omens it is possible to receive and people will go to great lengths to counteract it. J. is right, though, in that if the bird in the house foretells a natural death, one should simply acknowledge it respectfully. However, all too often this omen foretells an accidental death that is coming for a person too young to die. In this case one would recommend a spiritual bath for everyone, a house cleansing with Chinese Wash and Uncrossing incense, and the setting in place or dressing of the corners of rooms with protective oils, powders, mineral curios, talismans, or amulets. Birds as Omens: Hawk, Crow, Dove, Wren, Owl, Sparrow, Etc. For over forty something years i have seen a sparrow with a lame right leg, the first time i saw it was when i was a little boy and in Sunday? school at church and during the past years i have seen it periodically. Now this morning as i was on my balcony i have seen the said sparrow with the same lame leg, i am not sure what the significance is ?. Does anyone know what the sparrow represents and why do i keep seeing it over the years. i do not get a sense of bad or ill feelings when i see it just a sense of feeling sorry for him or her. Signs are very personal and subjective. What do sparrows mean to you? What does the right leg or right side mean to you? What do you feel when you see it? Have you noticed any pattern of events that falls near a sighting? These things can help you determine what it means for you. If you're still having trouble deciphering the message, you may wish to get a reading with a worker that has sign-interpretation as a gift. Definately get a reading. Besides being a sign, it may be a spirit that has been following through your life. While familiar and personal animal spirits, or power animals aren't exactly that common in hoodoo, it is not beyond possibility and some conjurer's developed strong relationships with various animals like Frizzly Hens and Buzzards. A reading can tell you if this is a sign, a normal occurrance, or a spirit. I must say thanks to both persons i suspect that it is a spirit that has been following me through my life and sort of an animal totem, i do not suspect any negativity just a sense of knowing that this particular spirit is there to let me now that it is around and that i am never alone, i was taken aback when i saw it i could not believe it. i know that i am surrounded with numerous spirits and having checked it out the sparrow is one of the birds that is close to the creator and is used to send messages. i will keep a check but when ever i have seen this bird i have never noticed any negativity. like i said just a sense of well being. Dead bird at front door???? Today I went to meet a real estate lady at a house on a particular street I really want to pruchase, and noticed there was a dead (crisp) small bird on the front porch. I couldnt believe she didnt see it and to at least remove it, but Im just wondering if its some kind of a sign. I used to live on that street and moved out as the woman who owned the house falsely claimed she wanted to house back to live in, and she didint, so I won a judgement against her. It is in a great location for my kids to get to thyeir schools and daycare centre, and thats why I wanted to purchase it so our mornings could finally be a lot easier again. What do you guys think? Any feelings as to what this could mean and any suggestions as to how to block other buyers, if tahts where we should be? Re: Dead bird at front door???? It could just be a dead bird. Real Estate agents are salesmen, they aren't going to point out things like a dead bird to you, they are going to point out the beautiful way the sun filters into the living room . If you are truly concerned by its appearance consider getting a reading from a member of AIRR (www.readersandrootworkers.org) who can confirm or deny whether it was a sign. I just returned to the place I'm staying at for a while and someone has killed a dove and put it over the fence near the front gate. I am told my 'rival' is into spells. Could this mean anything? A bit worried as I'm coming to the end of my pregnancy and actually in early labor as I type this. Help me please if the dead bird means anything, and if I can fix this. It could, but stay calm and relaxed. Blessing products from Lucky Mojo are very near and dear to my heart. Contact one of the Members of AIRR, "If the dead bird means anything, and I can fix this". Birds, a dove, don't just die and attach themslves to a gate. Prayers for you and your baby. Sign up for The Crystal Silence League, and seek the advice of a Member of AIRR. God Bless you and your baby. Here in our homeland some people hang pig's head as a message of a threat. In occult methods the crow is usually used, but sometimes a pigeon. The live bird is cursed at and sometimes tortured then killed. The suffering and frightened animal takes the intent of the caster, and the whole thing is amplified by the animal's fear and hate. The tortured and killed spirit of the animal is supposedly vengeful. I do not know if they use that in hoodoo, but Mumma DO NOT touch the bird with your hands or you'll "get" the bad-luck/black magic the dead animal is supposed to contain. Use long sticks to get it away and preferably burn the sucker. Also before removing the animal, say a prayer and explain to it what has happened etc etc. Just me giving my two cents, only follow if your "rival" is an Asian. Because this is offensive, better do Firey Wall of Protection. God bless you and your kiddy! Thanks for the replies. I dont have any money to hand out as im completely broke. My rival isnt asian and this peaceful bird was killed by a human (its neck was broken). Someone else picked it up and threw it in the bin. :/ i felt sick when i seen it but i am feeling somewhat better- think it was just the thought of seeing a dead animal (animal lover here). 1) A dead bird may be a threat in many other magical cultures besides Asian culture. It is not a good sign. 2) You were given great advice by Tammie Lee but you were so hung up on your money scarcity that you didn't even understand what she was telling you. A) A ten minute reading from an AIRR member costs $10.00. B) The Crystal Silence League is FREE. You can't get any less expensive than FEE. C) AIRR has a Pro Bono fund for indigent people in need of help. Pro Bono means FREE. 3) Raphael is an Archangel (called a Saint by the Catholics) and praying to him is FREE. Just follow the links she gave you. Birds as Omens: Hawk, Crow, Dove, Wren, Owl, Etc. At times when the spirit world is trying to communicate with me birds will come to my house. Last time something bad happened a row 3 crows were perched on my deck in the back. Well a few moments ago, an Owl was perched on my fence in the back yard. Even more perplexing is that it is daytime and owls are night creatures. It was beige, brown and black. BEAUTIFUL!!! Its head was turned to the side with its back facing me. It made no sound. I stared in amazement for a few moments then it was gone. I have read here on LM site and online that Owls are omens of sickness and death. Is that the case? I don't have my tarot cards so I am at a loss. I'll meditate and ask spirit to tell me. Has anyone else had experience with owls? Re: Owl: Omen of Death or Sickness? Many Native American Tribes consider owls an omen of misfortune or death. They will turn their shoes upside down before going to be to prevent the owl from invading their dreams. However, there are also Western Tribes who believe the Owl is a bringer of a message from the otherside. They use owl images to protect their homes because ancestors know that owls will communicate important information onto their love ones still living. To go even further, in the Hindu faith Lakshmi the Goddes of Fortune and Luck has an owl that she send to bestow blessings. You can find images of her with the owl on her right side along with two elephants. I had 8 owls surround my property one night all calling out in a circle formation -like they were drawing a circle around my home. My neighbors pasture caught fire that night because some threw a shake and bake lab out next to the side of the road. Three more feet and it would have been my house and yard that burned. I truly believe the owls were sent by ancestors to protect me and mine. I would pay attention to any messages that seem out of the ordinary today. I would also look through my old pictures of relatives who may no longer be walking amoung the living. See if one paticular picture stands out and ask for a dream from the ancestor. Or light a candle to the ancestor telling them that you are ready to hear their message. If you win the lottery today or get money out of the ordinary then give Lakshmi a shout out of thanks. Use some of those $$ to help someone in need. That is an amazing story. A circle of owls would have been a wonderful sight to behold! The owl was sent to me from my Native American ancestors. Thanks so much for setting this spark off in my brain. I have a strong connection with animals communicating with me from the other side. I have lots of strange bird phenomena and birds visit me on a regular basis (hawk, black birds, crows, owls, blue jays, etc). They come to my yard (sometime hundreds at a time) and my surrounding as omens, protectors and guides. They even stick to numerology to communicate with me from the spirit realm. What LM products can I use (Psychic Vision, Master Key, Spirit Guide) to see beyond the physical realm of the bird and connect to them in spirit? In conjunction to the products, what rituals and/or spells can I incorporate to strengthen my relationship, power, and connection with them? I may do an alter, crossroads work, talisman? Has anyone read and used the book Animal Speak in this regard? Was thinking about buying it. I've worked with St Expedite once and St Joseph once. Normally I do not though. I feel out of sorts working with them since not Catholic. I have some ritual ideas but have no idea where to begin. Noah??? Lol. I have birds and I am a professional magical worker so perhaps I can be of some assistance. First off, the LMC products you mention-psychic vision & master key would both be very good to work with. There are many different resources to look up avian symbolism-far too many to mention here, but I would start by gleaning information about the birds that show up the most. For instance, chickens (especially black hens), buzzards, and mockingbirds all have special significance in conjure and rootwork, so learning about them within the context of this tradition might help you understand them a bit better. Lol! Miss Bri, of course I know who you are and am honored to receive advice from you and Miss Tammie Lee. The hawk is my compadre for sure. He/she visits me often. I'm so thankful to have that connection with a hawk! How great is that? The raven comes to let me know my compadre is here. Great idea on the mojo! I'm hoping the next visit will leave a feather behind to add to it. I have some other spirit relationships to establish that may help as well. I guess you don't choose the animal...they choose you. Animals from nature have always been part of my surroundings. My mom often calls me Snow White. I m very excited about working with my feathered friends! I will start out with these products the mojo and mayb an alter. I just wanted to add my two sense here. This is to add to Miss Bri's suggests. If you sense that the hawk is your compadre, then you really need to honor it by creating a small altar, close to a window, so that it knows and sees that you are willing to not only work with it, but acknowledge the connection between the both of you. And further, the mockingbird is an obvious messenger to you, a poke so to speak, that yes, the hawk is near and wants your recognition. It is important that you realize that it is the hawk, not the mockingbird, that is the willing spirit that calls to you. I hope you nothing but the best. Thanks Angelicd, I think the alter would b great! I have some ideas! I'm excited about my feathered friends. My sweet granny always said that you would hear an owl when a loved one died. We all thought she was superstitious. : ) But years later, I distinctly heard an owl myself the night that she died. Santa Muerte is often pictured with an owl and many traditions it is a symbol of wisdom. One of the novels I had my class read was I Heard the Owl Call My Name. In Kwakiutl lore, a person hears the owl hoot when he/she is going to die. I, of course, considered this tale to be sheer mythology. When my father became ill and had to be hospitalised, my family and I travelled home and stayed in his house so we could be closer to him. One night, just before we were going to leave, I woke up in the middle of the night and heard an owl hooting from a tree in the yard. It was so eerie! But it wasn't calling my name; it was foretelling my father's death a few days later. I will never forget that night as long as I live! Understanding totem animals / omens? I never really paid too much attention to the concept of totem animals before, but I'm starting to realize that I sometimes see animals (mostly different species of birds) that are completely out of their logical place (in my estimation). For example, last week I saw a hawk on my way to see my boyfriend in prison. I couldn't think of why it would be there, as there are no houses, zoo, or even a park nearby, and it looked blissfully out of place and rather unconcerned of the cars whizzing past it. During the visitation, officers kept coming around and interrupting visits, hovering in a manner that made you think they were doing it "like hawks." From what I heard, they checked body cavities particularly well that day, and they searched cells, too. As my boyfriend later put it, they searched them "like a hawk." That specific phrase kept being mentioned to me unprovoked during the week leading up to my boyfriend's court date, each time reminding me of that hawk. Anyway, my boyfriend had court the following week and the outcome was exactly what we wanted. Granted, I had help from one of the rootworkers from AIRR and there was much work done between the day of arrest and last week, but could the hawk have been a sign relevant to the court outcome or perhaps something else?? Is there a particularly good book from the LM catalog that could help a beginner understand totem animals pr animal omens? Re: Understanding totem animals / omens? The concept of totem animals (and in fact the very word "totem") seems to have entered modern urban spirituality from casual appropriation of Native American concepts of animal ancestors and clan spirit-allies, and the naming of tribal clans after animals. Perhaps your best guide to understanding "totem animals" would be to research Algonquin and other tribes in which the concept of the "totem" is fully developed. Beware of New Age re-writings of traditional Native beliefs in which the individual is encouraged to "find" his or her own "totem" animal. In actual Algonquin society, the totem animal allies with the family-clan, not with a single person. a. An animal, plant, or natural object serving among certain tribal or traditional peoples as the emblem of a clan or family and sometimes revered as its founder, ancestor, or guardian. b. A representation of such an object. c. A social group having a common affiliation to such an object. Animals as omens -- and the interpretation of such omen-animals -- is widespread in world cultures, and certainly forms a part of hoodoo as well. Understanding animals as omens will vary based on the culture to which one belongs, however. My favourite example is the bat, an ill-omen in Eastern Europe, but an omen of happiness and joy in China. I think that your interpretation of the omen of the hawk was indeed accurate, by the way. 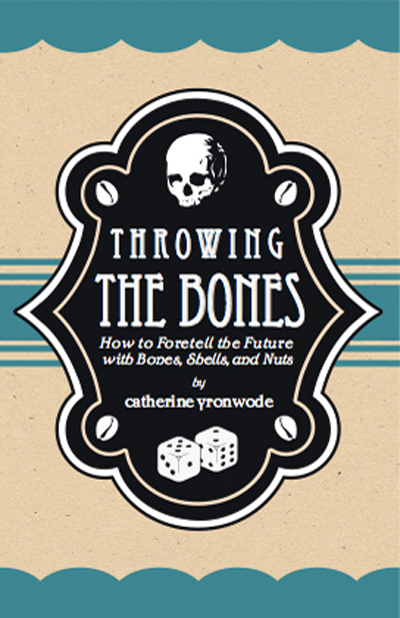 As far as books in our shop, the only one that comes to mind is the list of animals and their divinatory meanings that i present in my own book, "Throwing the Bones." Native American lore in my area treats the Owl as such. Yes, it is a portent of death. Sometimes, they will call a name, sometimes not. But, more than anything, the owl bears a message, sometimes, there is alot more to the message than just death, so watch what they do. As a messenger of Spirit, the owl is not to be touched for delivering his message. You are not to punish him. He is the messenger, and the message, whether wanted or unwanted is a gift. Harvesting of feathers in the above case is not only reprehensible, but, illegal. And if you think prosecutions no longer happen, I have news for you, they still do. Grandfather Owl has been a wise messenger to me, and I have learned to be grateful and understanding of his thankless job. To the Greeks, the Owl is the symbol of Athena, goddess of wisdom and intellectual attainment. To Native Americans (and hence to many African Americans of partial Native descent) the Owl is a forewarner of death. From this we learn that the Owl, like the Bat (another nocturnal animal) has widely different meanings in different cultures. I worked with Athena in the past and liked her symbol of the owl, I had a little statue on her sacred space. I once saw a bottle of Wisdom magical oil in England that had an owl on the label (from a VERY small little shop in Devon that had fine hand made supplies). We have lots of great horned owls nesting in the bluffs near me. They hoot to each other late at night. In parts of Poland (where my adopted family is from), the number of hoots one hears from an owl has a specific meaning, but I usually fall asleep while listening I do remember the film version (from Canada) of "I Heard the Owl Call My Name." The Kwakiutl legend was explained in the film very well, I remember it almost 40 years later! My mother gave me some silver earrings with owls on them for my birthday. I took it as a favorable sign from Santa Muerte, who is often pictured with an owl. I also bought a handmade necklace with an owl and skulls. I never knew about this, but would like to say what happened to me in 2007. I was 26, pregnant with my twins and living in my grandfathers house. It is a big house and there were other family members living there such as my mother, aunt and uncle, my ex and two small children. My grandfather is a very evil man and I didn't know this until I started living with him. He was working with my ex's mother and my aunt that lived with me to break us up and to kill me. All while I was pregnant with my twins I had unnatural diarrhea and my Indian doctor knew something was not right. I would only have it while being in that house. If I left the house or out of the drive way I would not have it. I stayed sick day and night. I knew what was going on because the house had a lot of spirits in it, good and bad ones. Something told me what my grandfather was trying to do which was kill me. He would put things in my food nonstop and my bed every time I left my room. Some of the mess he laid down was glitter and I don't know what that was suppose to do and he would use crystals and other things. My ex's mom would use the exact same thing that he was using. I was told by a spiritual person that they were trying to kill me. I believed it and even saw and felt the devil's hand on my pregnant stomach in a dream. The devil was killing every pregnant woman and her unborn baby in a dream I had and when he got to me he tried, but couldn't kill me or my babies. One day my aunt was in the garage of my grandfathers house and a bird came in. It went straight to my room. It didn't make any stops and it was flying fast. When it went into my room it was on the side of the bed that I would sleep on the most. My mother and my ex knew something was not right about that bird going straight to my room. I prayed a lot and lit white candles and called for God's angles to be with us all of the time. My grandfather lost his fight against everything he was trying to do to me and I won. Sm2900: Thank you for sharing that story with us! cat: Wise words, as usual. Thank you. The Hawk has been my spiritual totem animal for the almost 1 1/2 years now. Coming to my house, yard, flying in front of my car, in my dreams etc. I have been going through some tough times in the spiritual and physical realm and have always seen the hawk as messenger, guide and protector. Normally I see a Hawk frequently in the morning sitting on the power lines. This morning I didn't see my Hawk on the power lines where it normally is but across the street dead on the side of the road. I feel it to be a message of some sort and its quit unsettling for me. I am going to meditate on this for now. Can anyone offer any conjure help to contact the hawk spirit or have any insight into this matter? Spirit Guide supplies could help contact the spirit of the Hawk that you see as your guide. Psychic Vision might work for your also. If it were me, i would collect a few feathers from the dead Hawk and place them on my altar. I would also wrap the Hawk in a cloth (a pillow case or bandanna would do, depending on the size of it) and give the Hawk a decent "burial in the air" by taking it to a wilderness park area and placing it in the forks of a tree. I do not wish to alarm you, but such events are often seen as signs, even though animals die, for many reasons, and their deaths may not be directly correlated with our own spiritual lives. As a Spiritualist, i will also add that death need not break your link to a being whom you have loved. The words of others, telling you to seek a spiritual link to the Hawk, are good. Ask also for another living Hawk to be seen as a sign. Cat: That was beautiful and lovely advice. Priestess Divine: Best of luck to you. I hope your spirits soon lift. I would definitely not take the death of the Hawk as the death of that being your totem spirit animal. As cat said, sometimes animals die for reasons that have nothing to do with your spiritual life. If you are not able to go back to the Hawk and bury it as cat suggested, you can still honor that Hawk symbolically on your own altar. Write a petition and burn a candle for the Hawk, for example. When you drive by that place again, say a prayer for the Hawk and thank it for watching over you as long as it did. Make sure that you still keep your eyes open for Hawks and don't assume that your connection has been broken. I am living in this half renovated house and few days ago an church owl (I think) it has a ring. It flew into my house and today found dead by someone else. I am living in a very old house over hundred yrs old.. any suggestions what I should do and should I be wary of something. I went back later that day to get the hawk as I was lead to do this b4 reading this post but it was gone. I was surprised it was moved so quickly. I said a prayer that day in the spot where it had transitioned. I have since seen another hawk come and it now sits in the exact same place as the other. As I was thinking about it one day, another flew right above me as to say, "I'm here!". I see this one much more frequently than the other. Each time I feel a great energy moving inside of me. I am happy to have the Hawk back in my life. I know it never left me but I was down in spirit at first and hoped I had not lost my spirit animal. I read that if you have the Hawk as your spirit animal, that it is with you for life so I take great comfort in knowing that. I will get some things to creat an alter. Hello everyone. We have had 3 strange "visits" by birds in less than 24 hours. I know birds are messengers from the spirit world, so I know they are giving me some sort of "heads up", but any ideas you may have about what I should look out for would be most appreciated. 1. Yesterday afternoon, I walked by the picture window in the kitchen and there were 2 great big owls on the grass looking toward my house. They stood at least a foot tall! They were just standing there next to each other, just outside the property line looking at me. Then they flew away, first one ... then a minute or so later, the other. *This was in daylight, but it was very overcast as a thunderstorm was blowing in. Then the sun came back out an hour or so later. 2. About 15 minutes after the owl visit, looking out that same window, a hawk flew from one tree to another ( my right to left). 3. Then today, my daughter was driving back from the store ( upset after seeing the same ex boyfriend at the store a few minutes earlier) when a tiny brown bird ( probably a wren ) flew into her windshield - right at her face level. She came in crying. This is all too weird. I added the ex boyfriend info because he hasn't been seen for a while and now "pops up" - I'm not sure if he is connected to the bird visits. I feel strongly someone is trying to warn us of something. Does anyone have any advice? I assume I should do a house cleanse just to be safe. Any insight anyone might have for us would be most appreciated. From a Native American perspective hawks and owls are both messengers that bring with them the gifts of vision and psychic abilities. They are complimentary birds of each other; hawks being solar (daytime) birds and owls being lunar (nighttime) birds. Since you were the one to see these animals, I would guess that the messages that they are bringing are for you and not necessarily for your daughter. A wren flying into her windshield is clearly a message for her. Assuming that it was, in fact, a wren they are birds known for being bold and brave. In Native stories the wren was able to fly much higher than any of the other birds. They are brave, resourceful, and even though they are small, they are not afraid to stand up for themselves. Maybe there is something there for your daughter? As far as the cleansing goes....it never hurts to do a cleansing! Thank you so much for the reply, Phoenix. Well, that wren sure got my daughter's attention! She is facing some big changes in her life in the next couple of months, so perhaps she just needs to be brave and strong like the little wren. As for me, I had just learned from my uncle a few days ago that yes, our family has Native American blood. I had suspected this, but it had always been denied by my family. Nice to finally get some acknowledgement of the fact. Perhaps the owls and hawk dropped by to encourage me to explore this heritage? We shall see. Thank you again for taking the time to write back. Owls are often thought of as a symbol of death or malevolent witchcraft, and seeing one in the day is, I was taught, bad, bad luck. Seeing two sitting on your lawn, staring at your house would be a sure sign of something very bad coming to you. Thank you for the reply, Turnsteel. Yes ... my first thought ( after OMG there are 2 huge owls!) was that they might be trying to warn me of something bad. I too have heard about owls being messengers of death. However, I seem to have a thing for owls, or they for me. They have come to me all my life. I can even call them and they come. So, I am trying to balance out my many encounters ( where there was no bad involved ), with the sudden appearance followed by a hawk. I feel strongly they are trying to get a message to me, but I do not know what it is. I will cleanse the house again and do protection work and pray for some insight. Thank you again for talking to me. MoonBreath: I would also highly recommend that you dig into your Native bloodlines. For some Tribes the owl was an omen of death, but for others it was a symbol of wisdom and 'sight'. Knowing how your ancestors would feel about this could help you as well. Owls are a bird often pictured with Santisima Muerte, so if you are working with her or are looking for a sign from her, she may speak to you by sending an owl. Not necessarily a bad thing. Thank you for that info, Mama Micki, but I have not worked with Senora de las Sombras. I guess if I ever decide to, this place will be covered up in owls. I have neither seen nor heard an owl since the other day. I did, however, see a hawk again, yesterday afternoon. I was looking out a window and he flew from a tree straight at me, then turned up to land on my roof right above me. I saw his belly fly by! I do feel it is a Native American thing and am looking into hawk and owl symbolism. Thanks again. I am curious to get some input regarding birds as omens or signs. My belief is that birds can be messengers, either of the spirit world or death. Today, I went to buy some graveyard dirt for the correspondence course. I arrived at one cemetery, but I did not feel a connection with it. I then decided to travel to another one. During the process, a small to medium size bird flew into my left headlight. It grazed it enough to get a good impact, but I don't feel it was injured. Any ideas or thoughts? I'm just curious. I am new to buying graveyard dirt, and thought maybe my initial instinct to bypass the first cemetery was something to note. I have found that when a lot off crows or blackbirds visit bad thing are about to happen. If it's gong to be really bad there are hundreds. (No kidding) If it is just a small problem but bigger than the kind of problems average people have..... there are only a few black birds. I guess it's n the interpretations. I have had good luck when I see a murder (a bunch) of crows or blackbirds. There is a big cultural connection to these types of omens. I think it is really important to know your own cultural connections to signs or omens; or at least notice your own association as these things happen. I was taught that crows/ravens showing up could be either a good or bad sign depending on the number of them. Each number meant a different omen. Fascinating stuff! This is really interesting! My Great Grandmother in my mothers side talked about crows being signs for things but it depended on which side they were flying from. Left to right meant one thing and right to left meant something else. She never mentioned counting how many though. Neat Stuff! The old rhyme ... Counting Crows. Three for a girl, Four for a boy etc. Three for a wedding, Four for a birth etc.